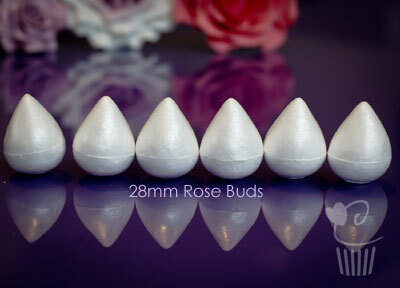 6 x 28mm buds for making roses even easier. 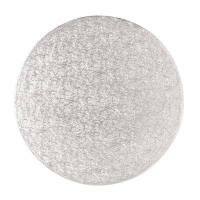 When time is short, use this great little bud for the centres of your roses. No need to wait for it to dry. Can be wired. The bud is not edible! 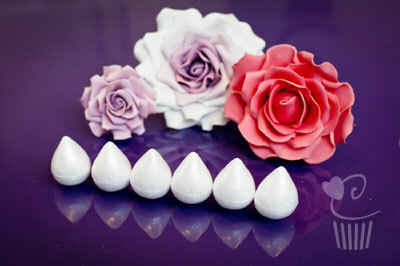 Use this bud to create the centre of your rose and other sugarcraft flowers.